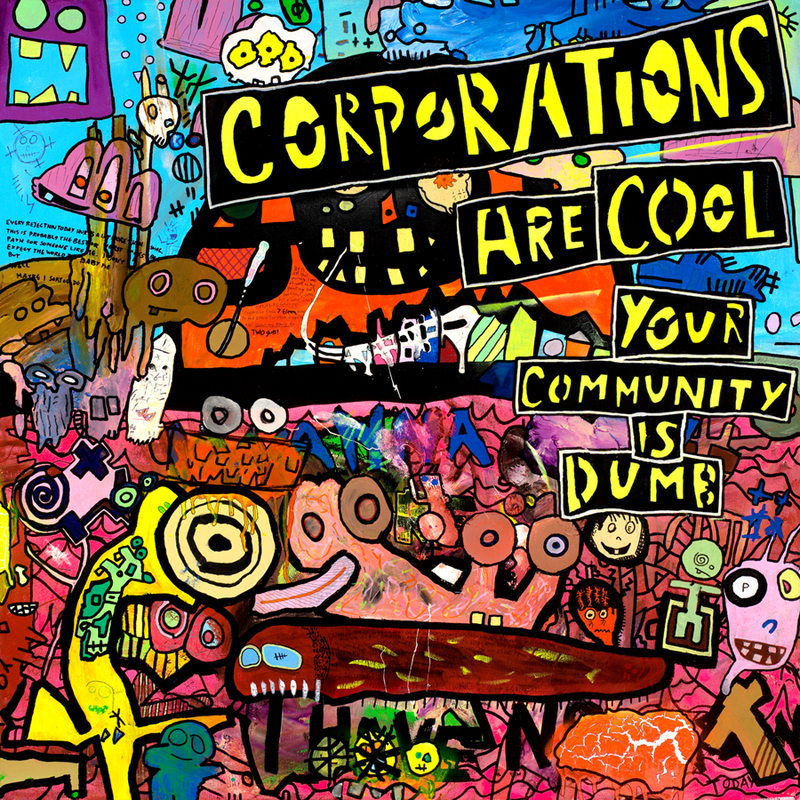 “Corporations are Cool; Your Community is Dumb.” 4/22/14. Acrylic and spray paints, ink, and modeling paste. 36×36″. Painted April 7-22, 2014 in Sarasota, Jacksonville, and Delray Beach, FL. Read the story behind it in my blog entry for May 16, 2014.